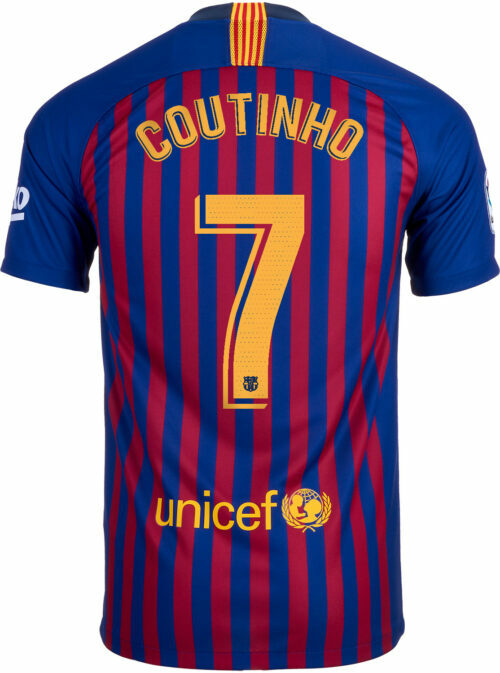 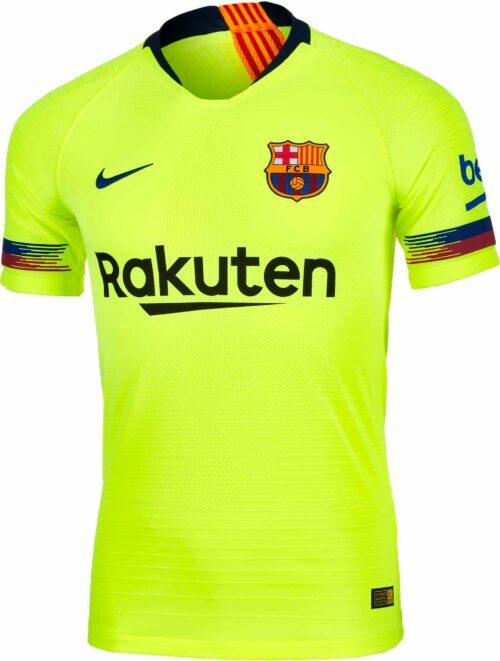 Officially licensed jerseys from SoccerPro.com are virtually indistinguishable from the apparel worn by Barça players on the field. 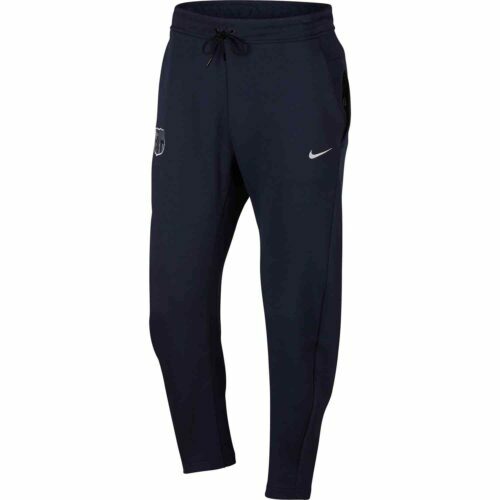 Get performance activewear made with the modern athlete in mind that can also function as sporty-chic casual wear. 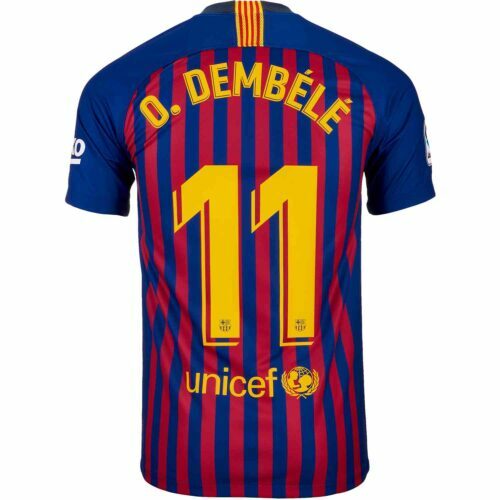 A great addition to any collection of soccer merchandise! 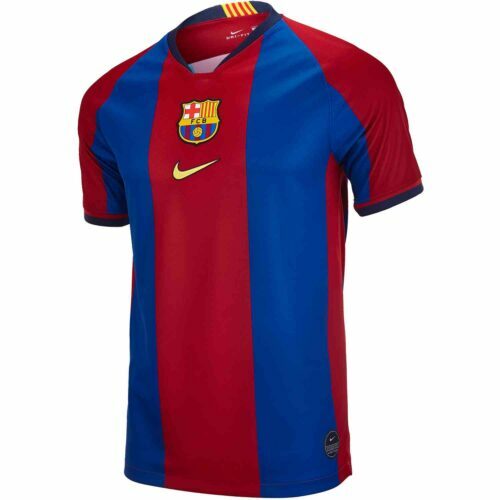 At SoccerPro.com, you’ll find a large selection of styles in sizes for men, women, and kids. 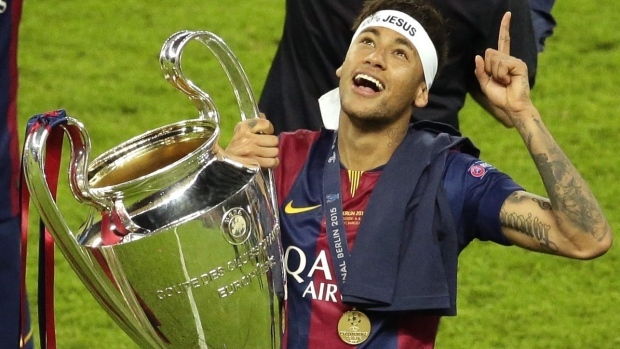 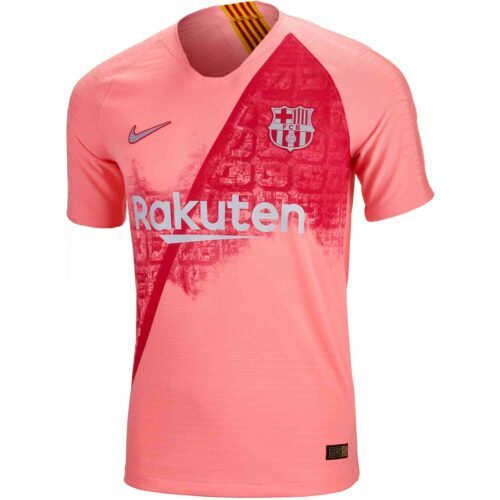 Every Barcelona soccer jersey is manufactured by Nike®, and made to meet the same high standards that professional players expect from their apparel. 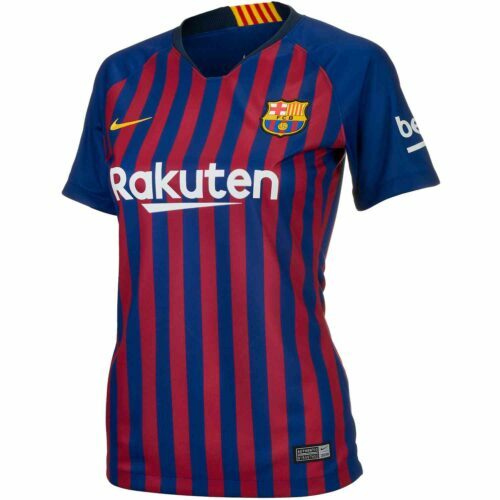 Rep your home region while you travel, proudly display your fandom at the local sports bar, or enjoy a pickup game at the local park. 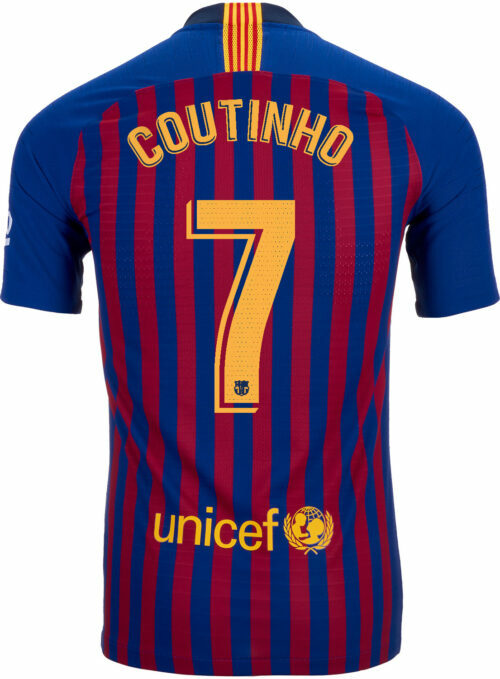 From kicking the ball around in the backyard to chanting with thousands of fans at the Nou Camp on game day, these premium designs will look and feel incredible. 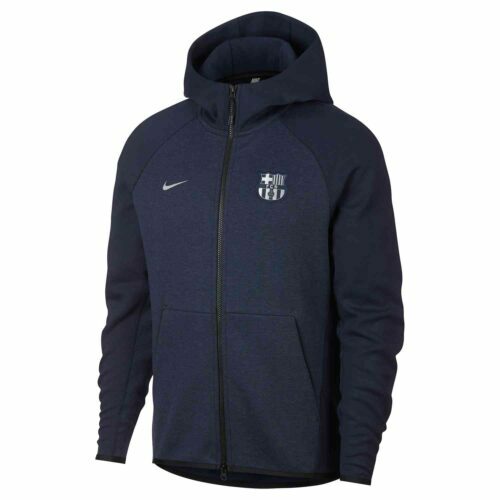 Looking for a gift for the futbol fanatic in your life? 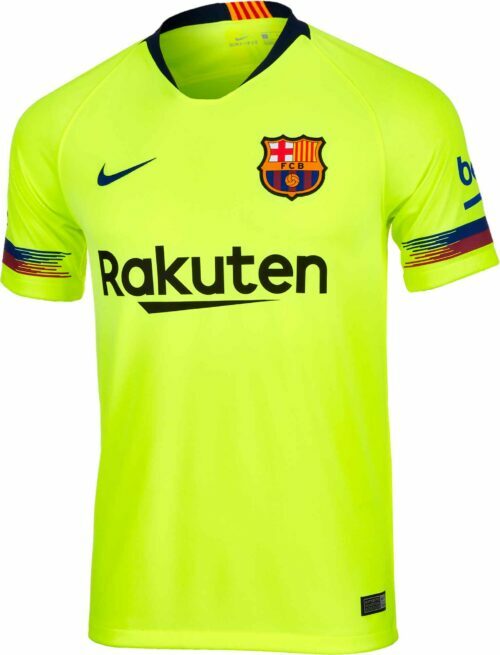 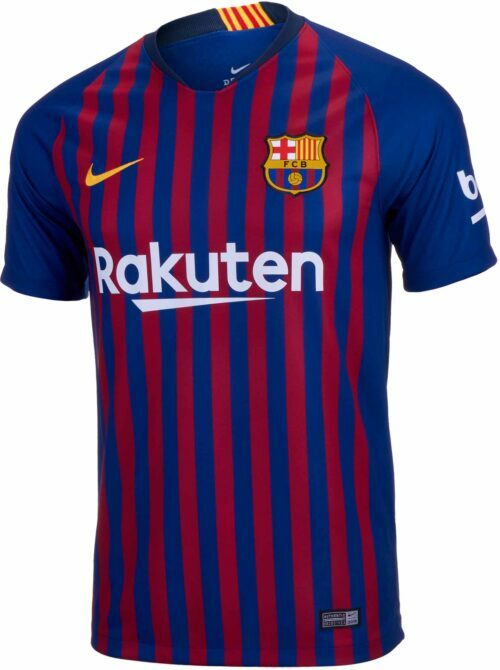 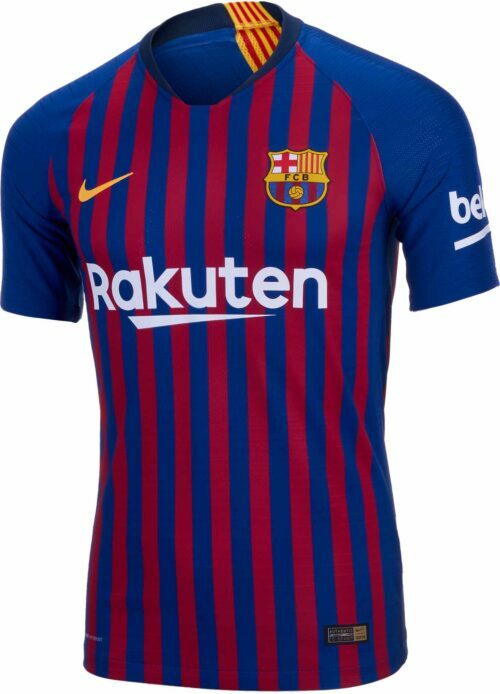 The new 2018/19 Barcelona jersey is the club’s latest look, and will put a smile on any fan’s face. 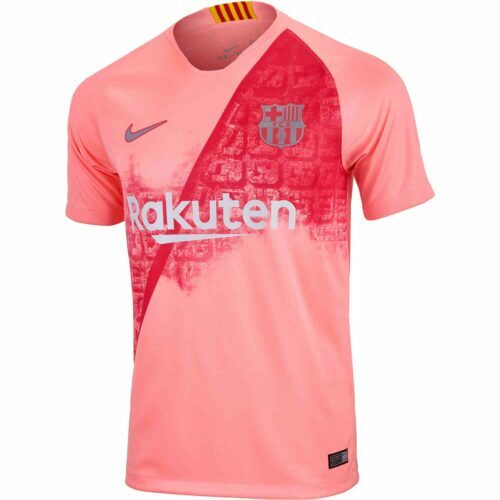 Though these stunning designs look great framed and hung on the wall, they’re also modern performance activewear that are engineered for the heat of competition. 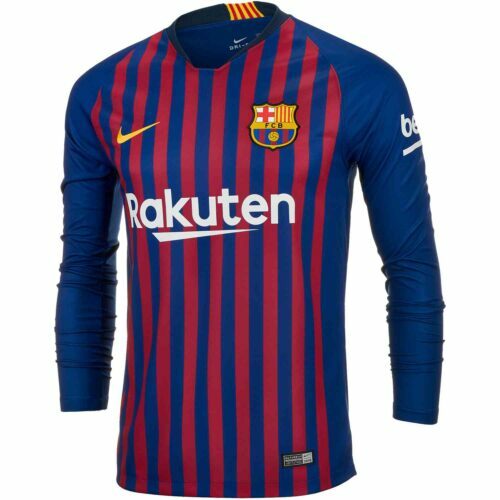 Every Barcelona shirt is constructed from breathable and moisture wicking materials that will help you control temperature and moisture on the pitch. 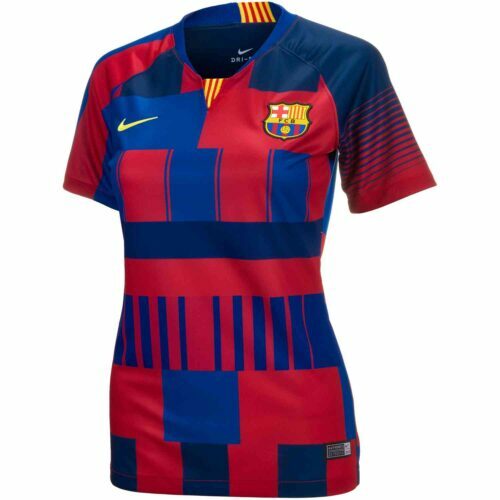 You’ll feel dry and fresh as the match drifts into stoppage time, even on a hot summer day. 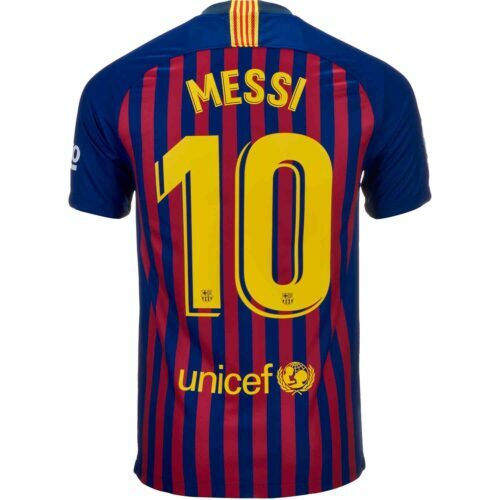 Comfortable and durable, they’re tailored for a slim, attractive fit that won’t restrict your range of motion as you lunch for that header or pull your arm out of the way of that spiraling pass. 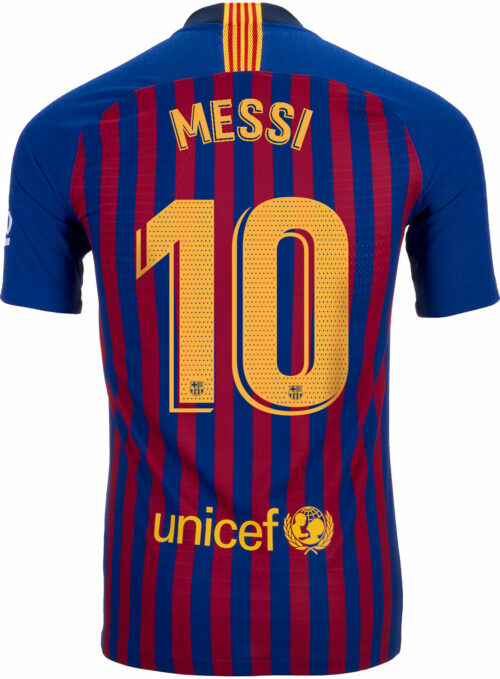 Shop the FC Barcelona Store at SoccerPro.com today and enjoy fast shipping on some of the best Barça apparel and gear like your Messi Jerseys and Nike FC Barcelona Long Sleeve Jerseys on the market. 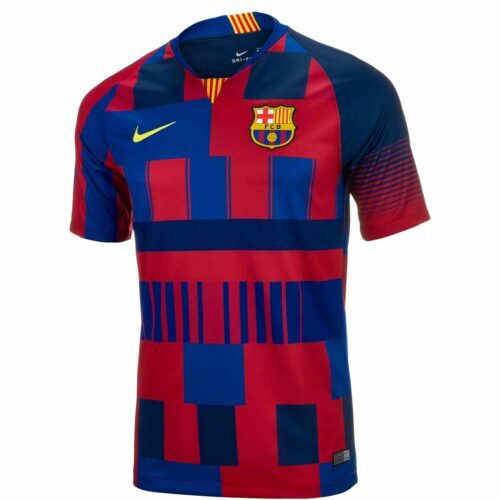 Play in the same clothing the pros wear, and enjoy the advantages of high-tech fabric and smart design. 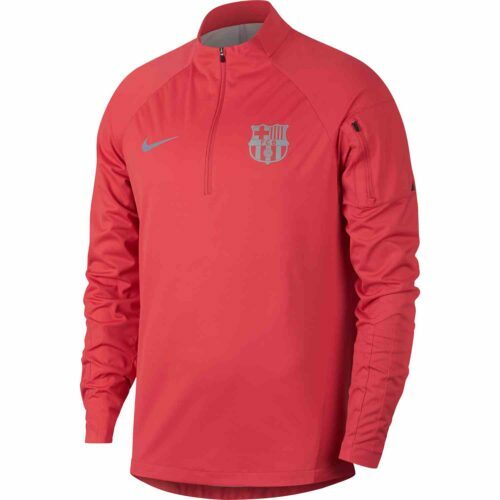 Cheer on Barcelona to another championship with this elite soccer apparel!